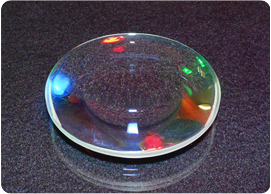 Align Optics is your complete source for affordable stock and custom made optical components. Some of the items we supply include. We're a one stop shop for all your stock and custom optics needs. 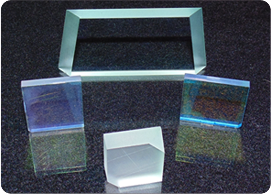 Contact us now for a no obligation free quote and start saving your optics dollars immediately. 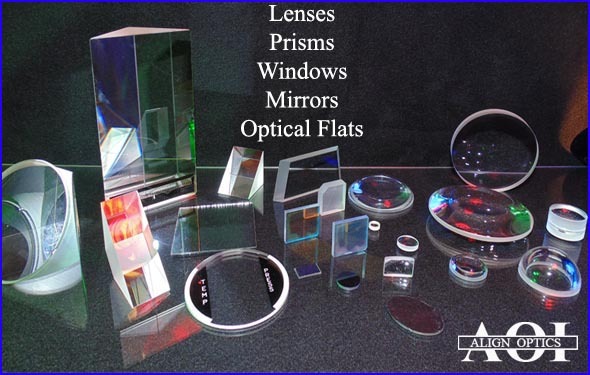 Some of the items we can supply per customer specifications include Glass & Plastic Cylindrical Lenses, Glass & Plastic Aspheric Lenses, CCD Lenses, Miniature Lenses, Plano-Convex/Concave Lenses, Achromats, Triplets, Micro Lenses, Rod Lenses, Magnifiers, Penta Prisms, Corner Cube Retroreflectors, Plastic Fresnel Lenses, Mirrors, Windows/Optical Flats, Reticles, Projection Lens Assemblies, CCD Lens Assemblies, Glass & Plastic Spherical Lenses, Ball Lenses, Etalons, Waveplates, Beamsplitters & Fiber Pigtails. 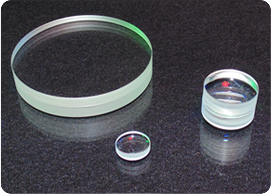 We offer extremely competitive optical components pricing & delivery times on all our stock and custom made Optics! Research - Scientific & Telecommunications.